One thing that the Switch is good at is being a great system for multi-player and party-style games. Games such as Snipperclips and 1-2-Switch are better played with friends…or in the case of 1-2-Switch it has to be played with friends, but I digress. Sometimes the games are rather short and can be played in spurts, but that’s perfectly fine. While I do like playing co-op games with friends either via online or locally, smaller party-style games can be played in short spurts so you can still play a few rounds before switching it up to something else, but what about combining those party-style games with ninjas? A weird proposition I know, but in the realm of video games that’s probably not the strangest thing you could come up with. That being said, let’s take a look at Ninja Shodown on the Nintendo Switch…and yes, that’s how “showdown” is spelled in this game. 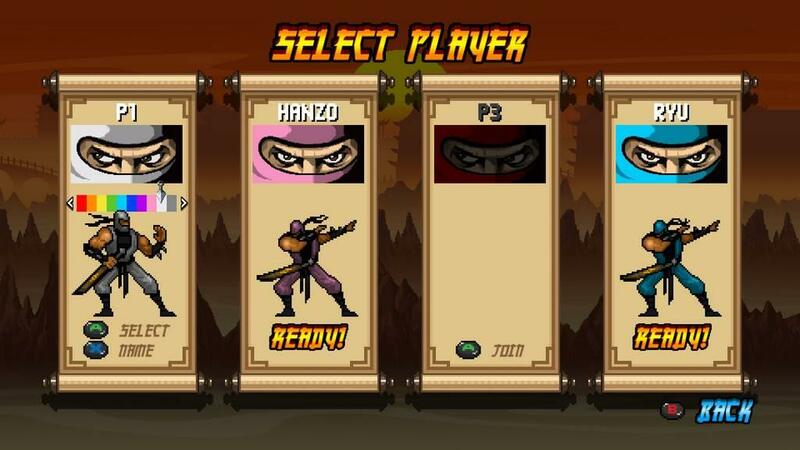 In Ninja Shodown’s arcade mode you play as a ninja in the Viper Clan who are “sworn guardians of the mystical jade katana”. The clan will protect the katana from whoever dares to steal it. That’s…literally the entire story you’re given. 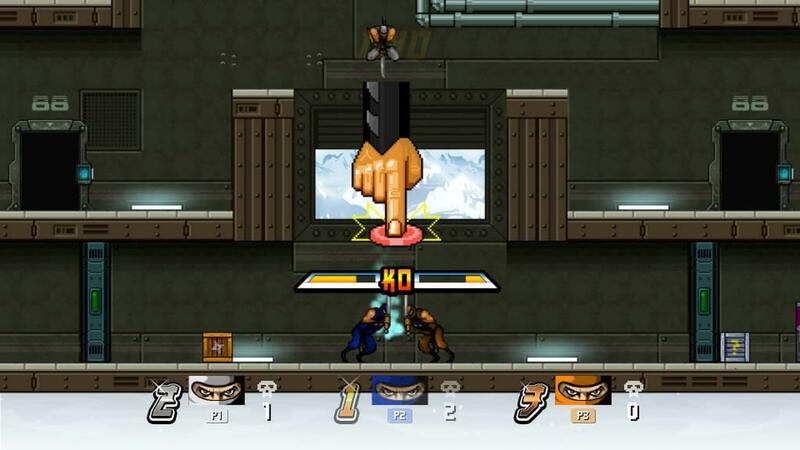 Arcade Mode is split into several areas with five rounds in each. 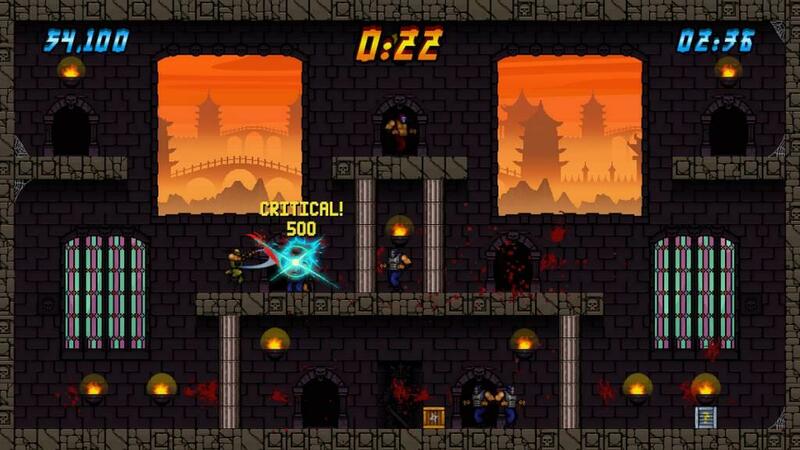 Each round consists of many enemies that will come out of one of several doors at random and you have to take down every last one of them. They start out simple enough with enemies that just casually run towards you, but soon you’ll work your way up to armored enemies, sumos, and bats, because if Ninja Gaiden taught me anything, it’s that bats are always annoying no matter what game you find them in. Clearing all of the enemies will move you onto the next wave and after five waves you move onto the next locale with another minor cut scene afterwards that really doesn’t do anything to move any sort of plot forward. In fact, aside from the fact that you’re protecting a katana, I don’t think there’s any plot or story at all. Thankfully you have more than just a sword by your side. Crates will appear every now and then and can give you extra shurikens (your secondary attack) and various special weapons such as throwing knives, bombs, mines, Molotov cocktails, and shotguns…all essential tools in a ninja’s arsenal. Some of the weapons though can trip you up the first couple of times if you don’t know what they do. The Molotov cocktails for example will spread fire along the ground that takes up a good portion of the floor. If you’re not careful you’ll end up running right into your own fire. Likewise when you place a mine, it can be hard to see exactly where you placed it so unless an enemy is right behind you when you plop it down, you might end up stepping on it yourself, and while you do have a few lives to start with, it is one hit kills so it can be rather easy to blow yourself up if you’re not careful. In fact, it can be pretty easy to die in this game period. 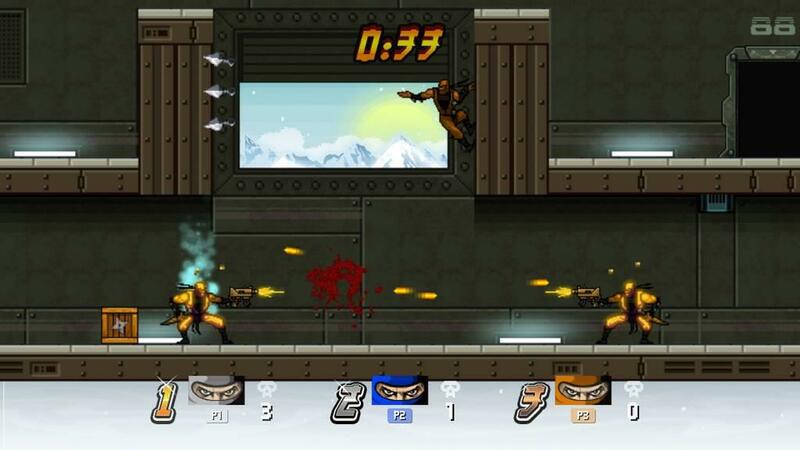 Your ninja can run pretty fast which is understandable since, well, you’re a ninja. However, until you practice enough until you’re comfortable with your movement speed and how far your sword reaches, you’ll likely run smack dab into enemies over and over again. Thankfully you have a couple of other moves you can do such as a downward stab which can help take out enemies from above, an upward slash, the ability to double jump, as well as climb on walls because what kind of ninja would you be if you couldn’t. That’s all fine and dandy, but until you get that down, be prepared to die a lot in the early going. Once you understand how everything works, Arcade Mode becomes a bit more manageable. However, even though you can gain lives depending on how fast you can clear each wave of enemies, there are no continues so when you run out of lives, it’s game over and back to the start. Arcade mode is fun once you’re better at handling your ninja, and the game’s Infinite Mode is a nice test of your skills as you just defeat enemy after enemy and see how long you can last. However, the game really shines in Versus Mode. 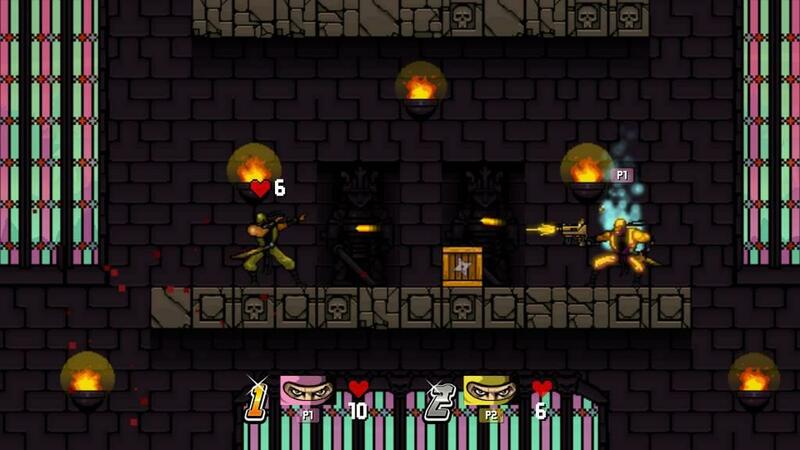 While Arcade Mode and Infinite Mode can be played with up to four players, it’s all co-op as you’re helping each other take out as many enemies as you can. 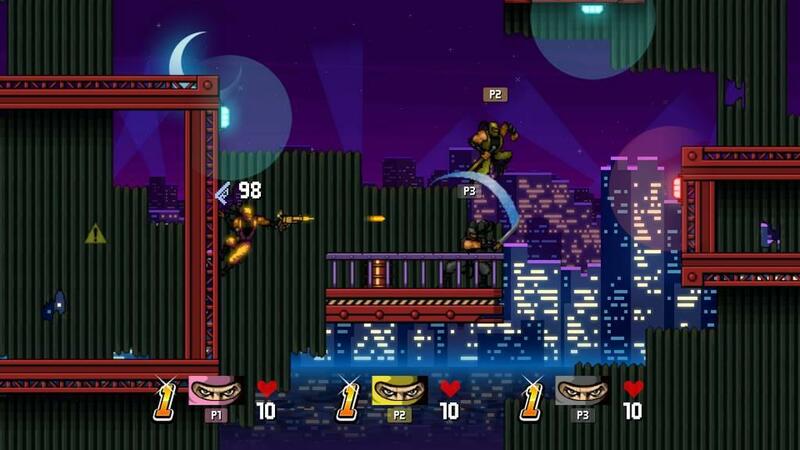 Versus Mode though is for two to four players and it’s all about defeating the other players. There are four different game types in Versus Mode and each has a few options you can set. Mostly these are the frequency of the crates that spawn with your items, the amount of ammo you get for those special weapons, and what items can appear in the crates, while the other main option is either lives or the amount of time you have until the game ends. Each mode can also be played in any of the five zones and in any of the five levels in that zone. However, everything can only be done locally as there’s no online multiplayer. 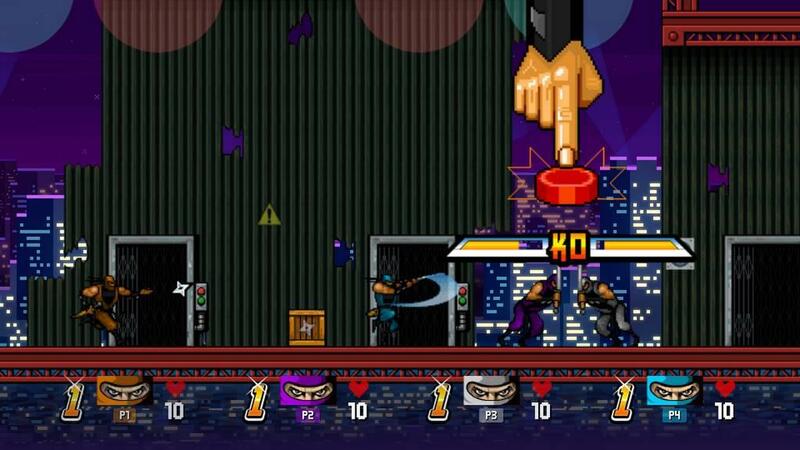 Last Ninja is essentially a last man standing match where each player starts out with three to ninety-nine lives depending on your settings, and basically you just do whatever you can to eliminate your opponents. Battle is essentially the same thing except instead of a set number of lives, you have a set time which can be changed to anywhere from one to sixty minutes. Next is Coin where golden cat statues will appear throughout the arena and breaking them open will reveal coins you can collect. The goal is to have as many coins as possible when time runs out (again, anywhere from one to sixty minutes), but if you’re killed by an opponent, you’ll drop ten coins. 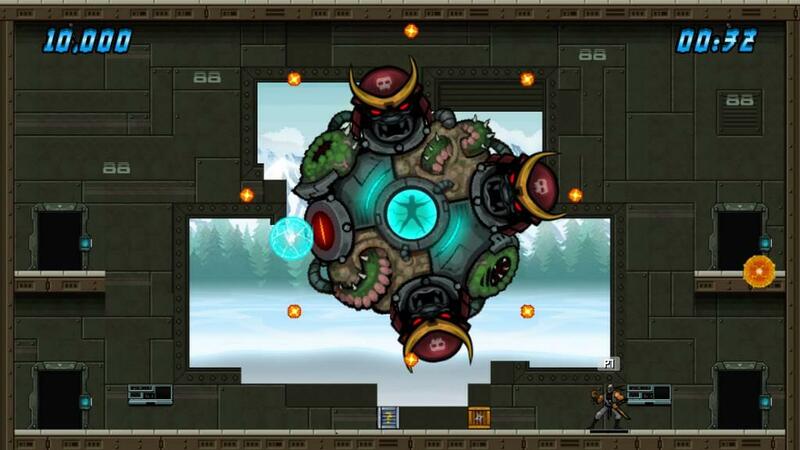 Finally is Crown which is probably one of the more interesting game modes. 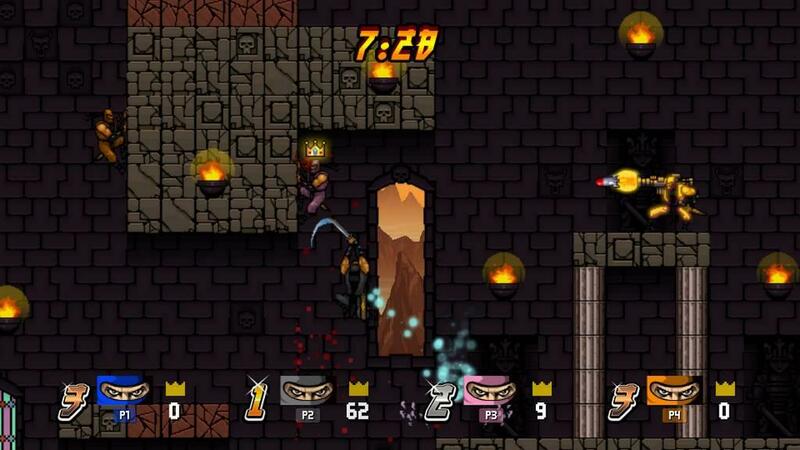 One player will have a crown and the other players have to take it from him by killing him and making him drop it. You get one point for every second you hold onto the crown and whoever has the most points when time is up wins. However, Crown has an extra option called “Attack Crown” which dictates if the person with the crown can attack or not. By default this is off, meaning the person with the crown has to avoid their opponents as best as possible using only their speed and agility. There’s really not much else to say about Ninja Shodown. As a single player game it’s not too bad though it can get kind of repetitive rather quickly. The multiplayer is where the game shines, not just in Arcade and Infinite modes but in Versus mode as well. Since all you need is a single Joy-Con per person, the game is easy enough to play with a friend with only one Switch, and if a couple of other friends have a Switch or spare Joy-Cons, you can fire up some four-player mayhem. If it’s just you though and you don’t do a lot of local gaming with friends, this can be a hard one to recommend, especially at a $15 price tag. Playing the Arcade and Infinite modes by yourself is still fun, but again it can get repetitive and, once you get better and better at it, doesn’t last long. If you have friends who enjoy these types of games as much as you do, it’s worth picking up for the Versus Mode. 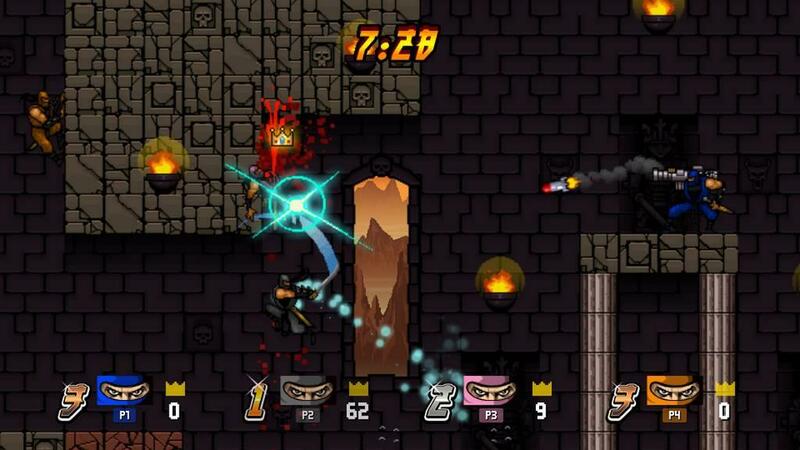 Ninja Shodown is one of those games where the Multiplayer shines more than the single player experience. That’s not to say the game isn’t fun alone; it is, but there’s more mayhem to be had in multiplayer, especially Versus Mode. It’s hard to recommend for $15 if you don’t plan to play with friends, especially with no online play, but if you have some friends who want to kick up some ninja-style mayhem, you’ll want to check it out.